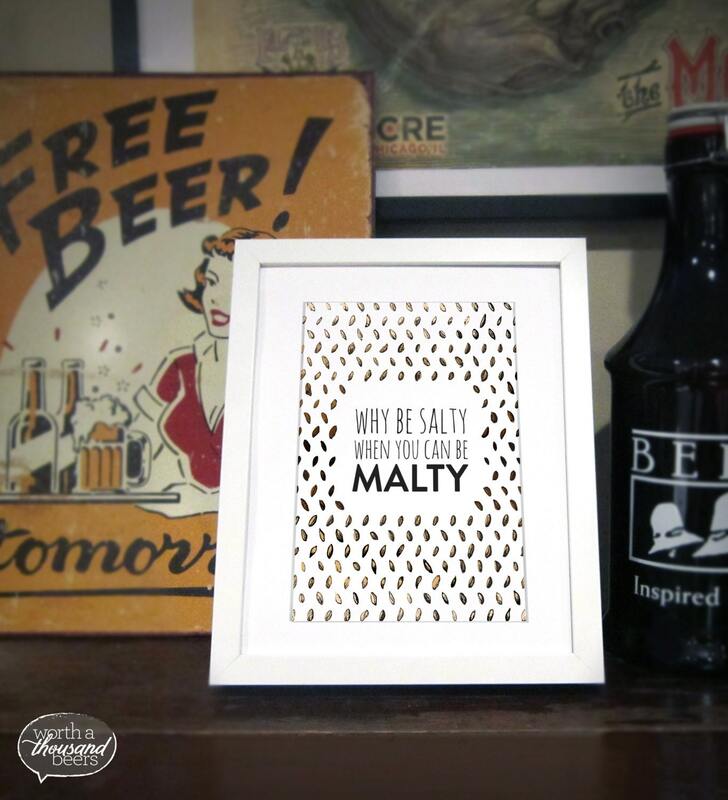 This original illustration print depicts a gradient of malts from light to dark, to light again. Malted barley is what gives beer its color and sweet flavor. 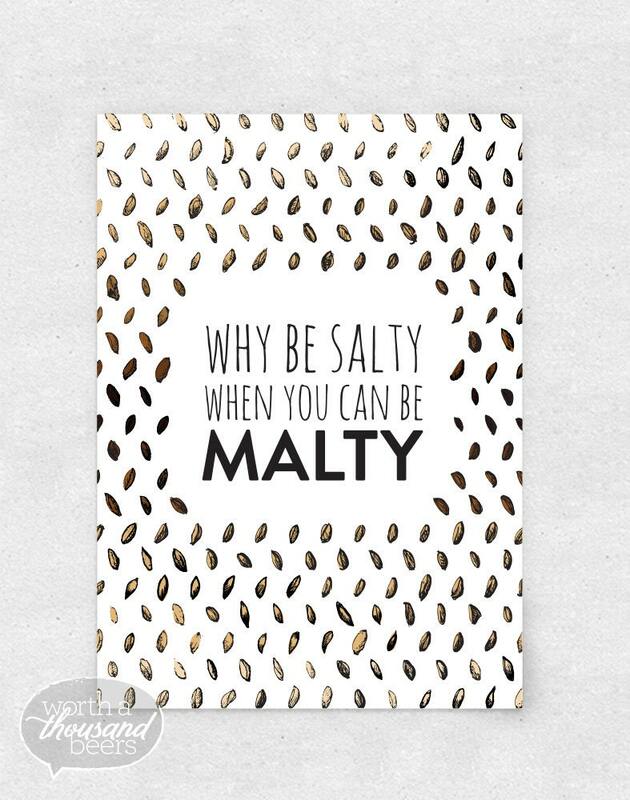 Don't be salty, be malty! Great for bar art or brewery art.